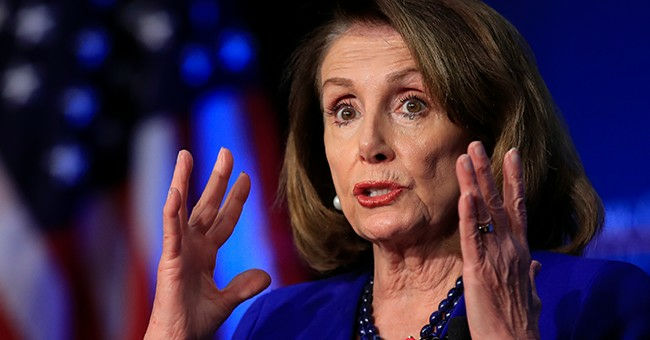 We've heard House Speaker Nancy Pelosi say she does not believe that pursuing impeachment against President Trump is "worth it" at this point. Yet, House progressives are forging ahead anyway. Some Democrats have "wanted to impeach the president since the day he got elected," Pelosi said with frustration in a USA Today interview Wednesday. "You're wasting your time, unless the evidence is so conclusive that the Republicans will understand," she added. "Otherwise, it's a gift to the president. We take our eye off the ball." Well, a few Democrats who are "wasting their time" include Rep. Al Green (D-TX), who said he's pursuing impeachment proceedings despite the speaker's opposition. “It’s not about any one person — it’s really not even about the president as much as it is about what he’s doing," Green insisted. "It’s about his behavior that is harmful to society." Green introduced articles of impeachment in 2017, claiming that Trump had "undermined the integrity of his office with impunity, has brought disrepute on the presidency with immunity, has betrayed his trust as President to the manifest injury of the American people," and "is unfit to be President." This year, he was joined in his efforts by Rep. Brad Sherman (D-CA), who planned to introduce his own articles of impeachment. “Every day, Donald Trump shows that leaving the White House would be good for our country,” Sherman said. According to Pelosi, Democrats should instead focus on health care and job creation.